VIVA publishing technology helps national and particularly international companies in the financial and insurance industry as well as their national representatives, retail and wholesale dealers to optimize their marketing processes. With constantly rising costs and sinking margins, companies in the financial and insurance industry worldwide must act faster and be more flexible. What should one then do, when you have to save on costs and time, present a professional front and at the same time work efficiently? VIVA provides you with flexible publishing technologies and solutions for manual, semi or fully automatic creation of marketing documents such as financial and fund reports, business reports and business documents. Our publishing technology and products help financial services providers and insurance companies to optimize their communication, co-ordination and creation processes and reduce their marketing costs. Even though the significance of the Internet has increased, no company in the finance and insurance industry can do without the creation of financial and fund reports, business reports, etc. The creation of these reports, particularly with regard to the legal information requirements, involves long lead times and high costs. To be sure of maintaining the Company’s CD (Corporate Design), the necessary marketing documents for the company as well as its trading channels are generally produced by ad agencies or internal graphics departments. 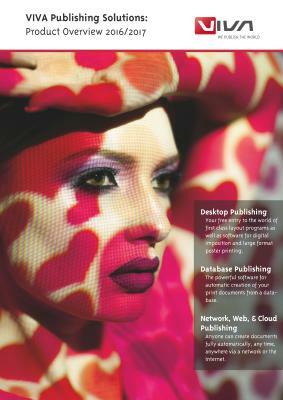 With the help of Viva publishing technology, it is no longer the graphic designer who produces the necessary documents. Instead, the employees in Sales/Marketing or even national or international representatives produce the necessary marketing documents themselves.